It's a birthday tradition that Spain's royals don't tend to follow as much as other European houses but this year they've made an exception. 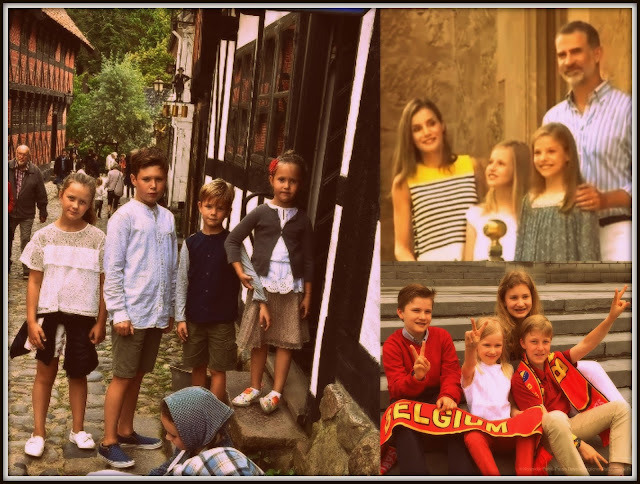 To mark her 12th birthday, Princess Leonor, heir to the throne, has a new portrait to celebrate. In fact, it's her first official portrait and it comes at a very interesting time indeed. After several months of severe morning sickness, it seems that Kate is bouncing back to health. 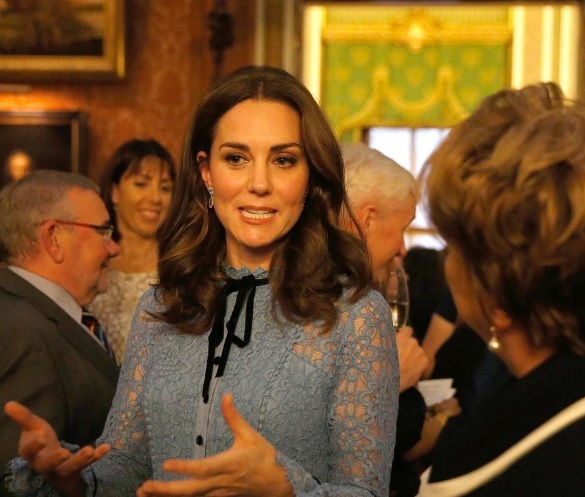 The Duchess of Cambridge, now into the second trimester of her third pregnancy, looked to have put the Hyperemsis Gravidarum which forced her to stay indoors for the best part of two months behind her as she carried out her latest public engagement. 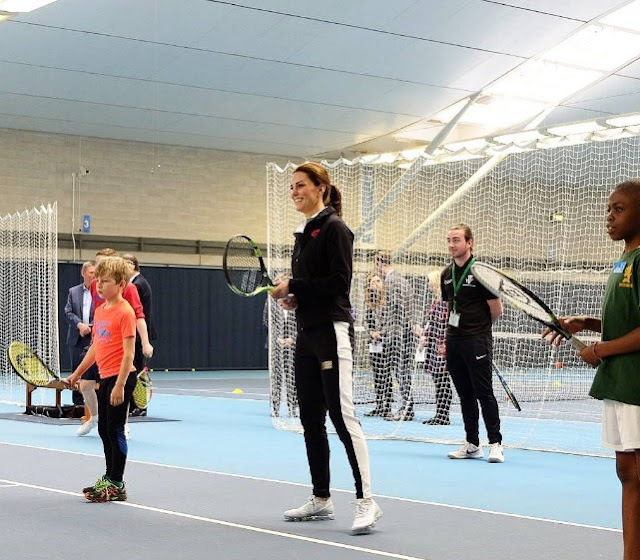 It was anyone for tennis as Kate started her autumn agenda again. We all need a reason to be cheerful every now and again and after what's seemed an up and down kind of few months for royals everywhere, here's a regal reason to smile. Yes, this picture is real and it's rather lovely. And there's more to come. Make hot chocolate, add marshmallows, let's put the angst and the agitation aside for a moment and just get mellow with Mary, Fred and the kids. 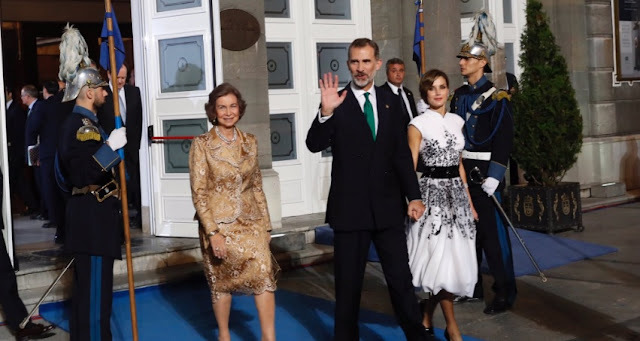 The Queen of Spain will, again, be the sole representative of her royal household at a public event this week as the country is engulfed by crisis. 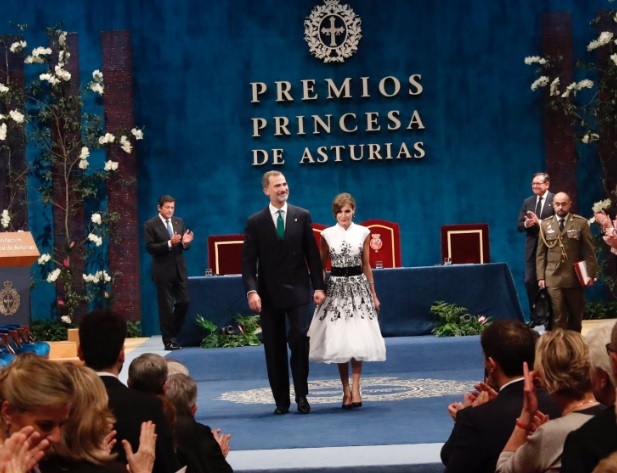 The agenda for the Spanish Royal Family, published every Friday, shows just one appearance in the days ahead with Letizia due to attend an awards ceremony on October 30th 2017. King Felipe is expected to stay silent in the coming hours on the crisis engulfing his country. In the last few hours, the parliament of Catalonia has declared independence in a move that it hopes will lead to the establishment of a republic in the region. The government in Madrid, meanwhile, is preparing to take control of Catalonia. Felipe began October knowing that a disputed referendum was set to take place. He can never have imagined it would end with part of his country trying to break away from his crown. Meet the new Queen. There could only ever be one winner in the race to grab one of the hottest roles on TV right now and the crown, quite literally, goes to Olivia Colman. It was a day when his feelings. both public and private, were at the fore. 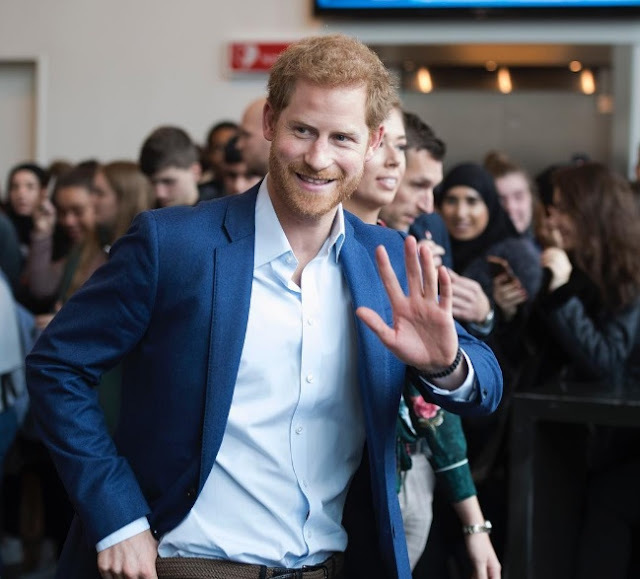 The second and final part of Prince Harry's visit to Denmark saw him embrace Invictus, focus on the future, get medieval on social media and take part in a very personal meeting. Heartfelt, in every way. You've got to hand it to this queen. Anyone who can look that good on a day when their royal dynasty took a wobble has got some oomph. As her husband's reign headed into uncharted waters of chaos as one part of his kingdom threatened to leave while his former principality declared him persona non grata, Letizia faced them all down single handedly. The Spanish Royal Family has barely been seen in public since the disputed referendum in Catalonia and King Felipe's controversial speech in its wake. But Letizia opened the palace doors and marched out all on her own. Letizia has drawn the battle lines and she clearly means business. He was its first prince for over a quarter of a millennium but his actions as a king have led to a place called Girona in Catalonia rejecting Felipe VI. The King of Spain has been declared a persona non grata by Girona City Council following his interventions in the disputed Catalan independence referendum. The beloved prince is become an outcast king. He's the prince with the magic touch right now. 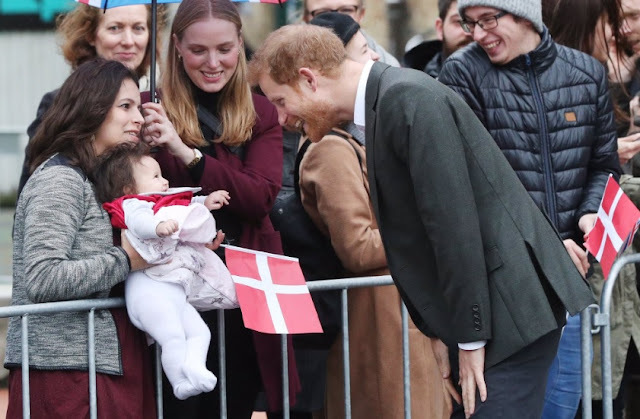 Prince Harry took about thirty seconds to charm Copenhagen as he arrived in the Danish capital for a two day visit. The trip, at the request of the Foreign Office, isn't a State Visit but it had all the hallmarks of one. On what could well be his last major appearance before a certain announcement is made, here's how Harry conquered Copenhagen. The headlines might sing but the reaction is far from in harmony. As the King of Spain made his second speech in two weeks on the Catalonia crisis, social media is alive with controversial comments. The front of the newspapers might focus on the main lines about unity but the response on websites and social media is far from together. King Felipe VI is facing a storm of resentment in a turbulent time. The next few weeks look very hard indeed. What's better than a royal wedding dress? Why, two royal wedding dresses of course. While more than one recent royal bride has gone through both a religious and civil ceremony to marry, not all of them get to do the double dress whammy. But Stephanie de Lannoy wasn't going to say 'I do' in just one frock. 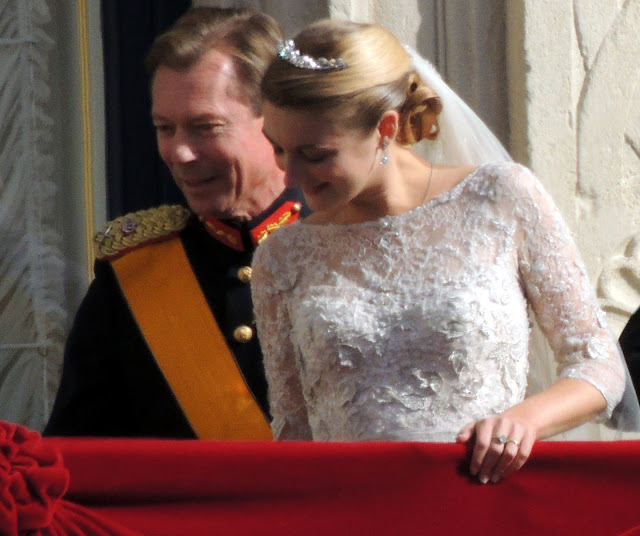 The future Grand Duchess of Luxembourg gave us two regal wedding looks for her two ceremonies five years ago this week. 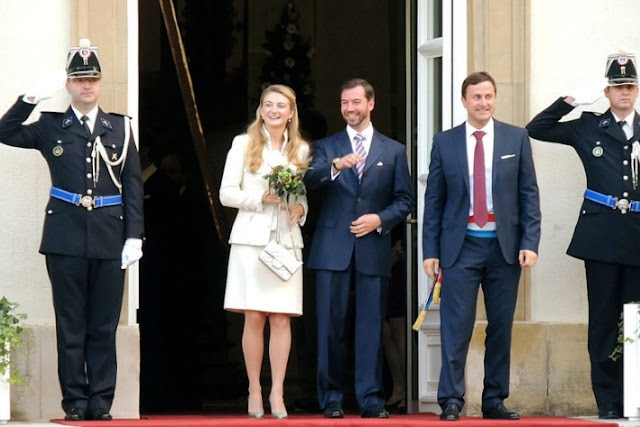 On the anniversary of her civil marriage to Hereditary Grand Duke Guillaume of Luxembourg, here's a look back at what Stephanie wore to say 'I do' first time round. All change for this royal trio? They've been a trusty trio for several years now but one image from the latest appearance of the Duke and Duchess of Cambridge and Prince Harry perhaps highlights how things will change...and how soon. For on their visit to celebrate the Coach Core programme on October 18th, this royal three found themselves with a spare seat right next to a certain handsome prince. Harry seemed to be warming the chair for another member of this new generation of royals. Is this the last time we see the trio before three become four? So just about everyone had it right. Kensington Palace caused absolutely no surprises today by confirming that baby Cambridge number 3 is due in April 2018. After the announcement that Kate and William are expecting another child was made at the start of September, all predictions pointed to an April due date. Now it's been well and truly inked in the royal diary. What's a duchess to do when a prince tells a life size bear to dance with her? 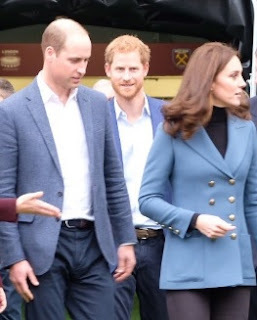 Kate surprised everyone with an appearance at a charity event today and got a bit of a surprise herself when brother in law, Harry, suggested Paddington give her a twirl. Here's what happened to the dancing duchess. 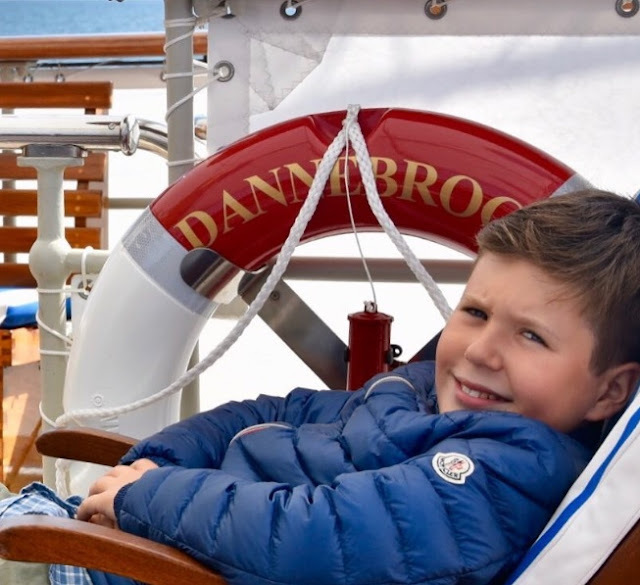 The future king of Denmark is 12 today. Prince Christian, born October 15th 2005, might be celebrating behind closed palace doors but like all monarchs in waiting. there is a birthday appearance. The boy who will be king in a generation of girls born to be queen has marked the occasion with a new official photo. Well, thanks for that. 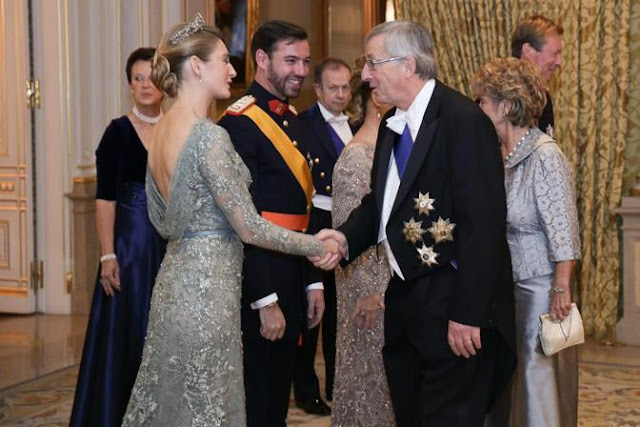 Queen Maxima has got the autumn State Visit season off to a flying start with a wardrobe that can only be described as eclectic. 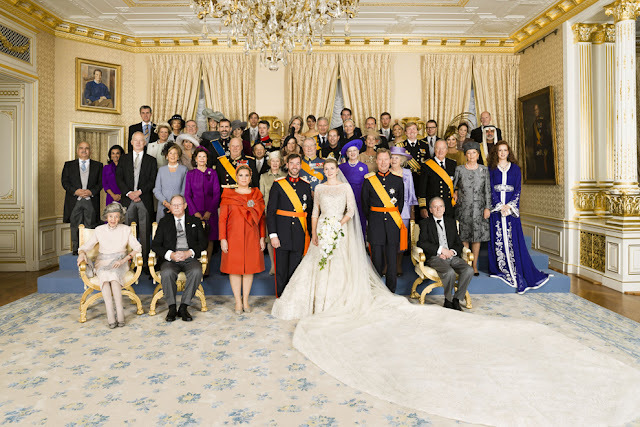 After luring us into a false state of security with a very Maxima outfit to start off with things went from feathers to flowers as the Queen of the Netherlands tried out all kinds of different looks on her three day visits. You'll love some, you'll be less certain about others but because it's Friday and because we've not been able to do this for months. 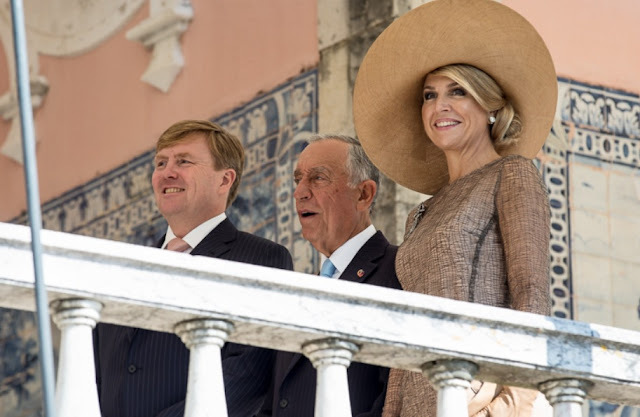 here's the return of State Visit style as Queen Maxima wows Portugal. 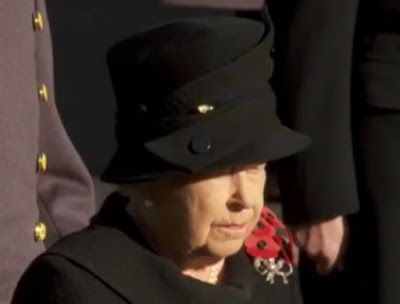 The Queen will not lay a wreath at the Cenotaph on Remembrance Sunday this year. It's been announced that Elizabeth II will instead watch the ceremony from a balcony overlooking Whitehall while the Prince of Wales places her tribute, on behalf of the nation, at the foot of the memorial to those who have died for their country. It is a major moment in the reign of Britain's longest serving monarch. It's been a while. There is a distinct lack of sparkle during the royal summer as the State Visit quota drops and the tiaras are dusted down and stored away safely through most of August and September. But fear not, glitter season has returned. As October gets under way, King Willem-Alexander and Queen Maxima of the Netherlands are on a State Visit to Portugal and that means one thing. A State Banquet and a dose of diamonds to cheer us all up. Here's the tiara chosen by Maxima to get the autumn glitter going. The Duchess of Cambridge has returned to public engagements for the first time since announcing she was expecting another baby. Kate made her reappearance at an event for World Mental Health Day held at Buckingham Palace on October 10th 2017. Prince Gabriel of Sweden might only just have turned one month but he's already got a friend for life. As the newest royal on the continent debuts in official photos, his big brother Alexander is on hand to help him through. They are already an adorable royal double act and then some. Twenty four hours and counting. On October 10th 2017, the Duchess of Cambridge will make her first public appearance since it was announced she is expecting her third baby next year. Which means tomorrow is the first glimpse of Kate's baby debut number three. 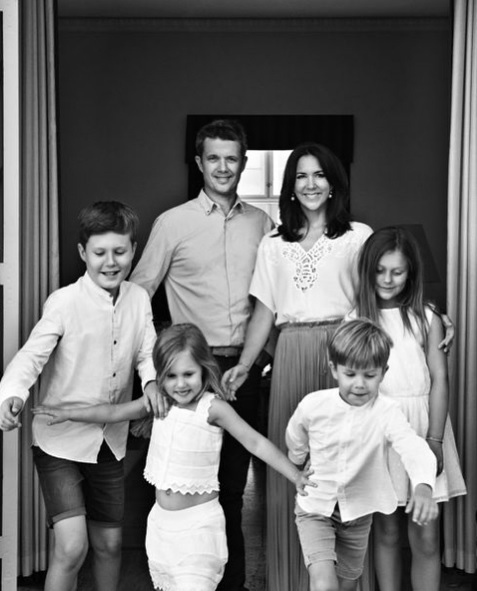 With her past two pregnancies, Kate revealed there was a little Cambridge on the way very early on owing to the Hyperemsis Gravidarum which affected her. 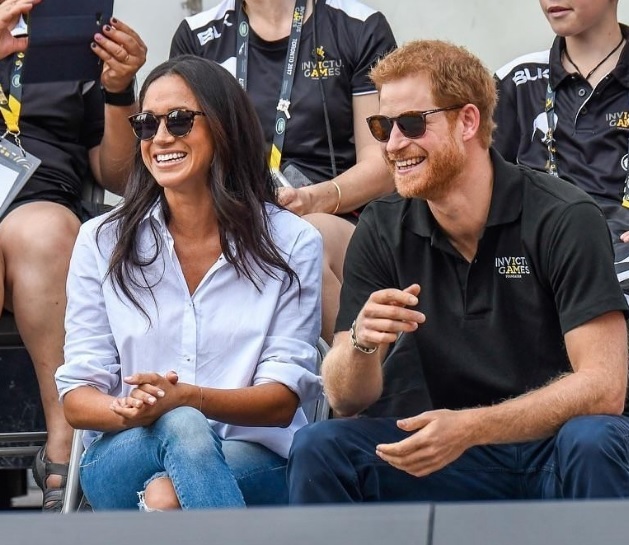 It's thought to be much the same this time round - apart from William telling everyone just a few weeks ago that the couple might be seeing their midwives sooner than we think. The interest in the royal tummy will be huge tomorrow as every sign of a bump will be checked out and pored over. 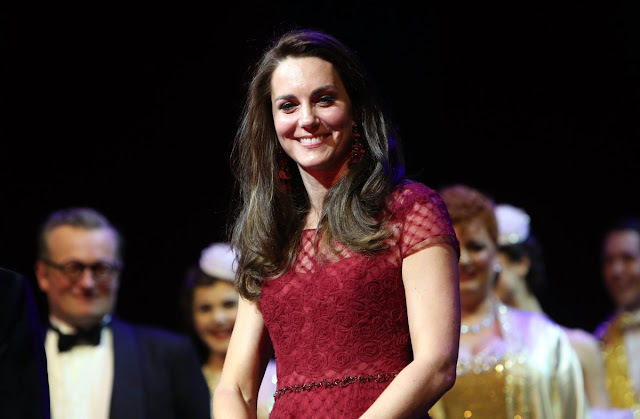 Here's how Kate made her mama to be debuts with George and Charlotte. It all started so well. 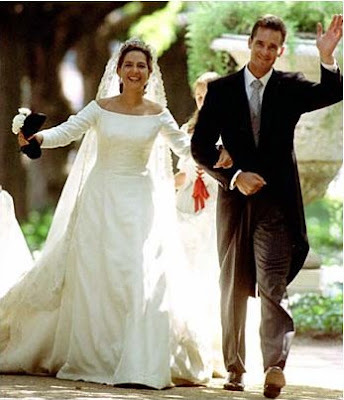 The marriage of Infanta Cristina and Inaki Urdangarin on October 4th 1997 was a sparkling event with a royal guest list, a handsome couple and enough public support to make any monarchy feel rather comfortable in its ermine clad skin. The next twenty years saw that fairytale put to the test and then some. The marriage of Cristina and Inaki has endured even if it hasn't always been the glittering jewel in the Spanish royal crown. But on their 20th wedding anniversary, let's enjoy a little bit of sparkle as we look back at the tiara Cristina wore on the day she said 'I do'. 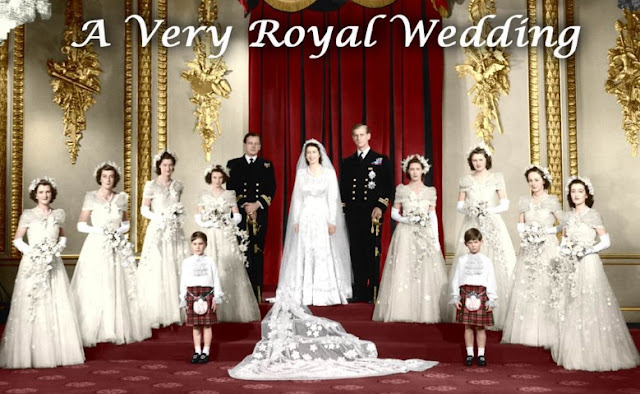 It was a glittering wedding that seemed to put the seal on what then seemed a triumph of a monarchy. Spain's Royal Family was about as popular as could be in October 1997 and the huge outpouring of public support as Infanta Cristina wed Inaki Urdangarin in Barcelona only underlined that. What a difference two decades can make. As Spain's royals languish in yet another crisis, the memories of a sunny day when the world seemed to be at their feet remain. At the heart of the fairytale was a modern bride with her own sense of style who took well loved to new levels. Here's a look back at the royal wedding dress of Infanta Cristina of Spain...the princess bride who could seemingly do no wrong. King Felipe VI of Spain has spoken to his country following the independence referendum in Catalonia on Sunday. 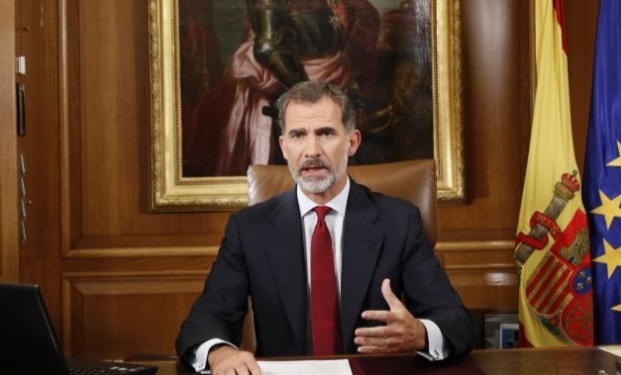 In an address that came after several days of silence from the head of state, King Felipe described the bid for autonomy as illegal and unconstitutional. 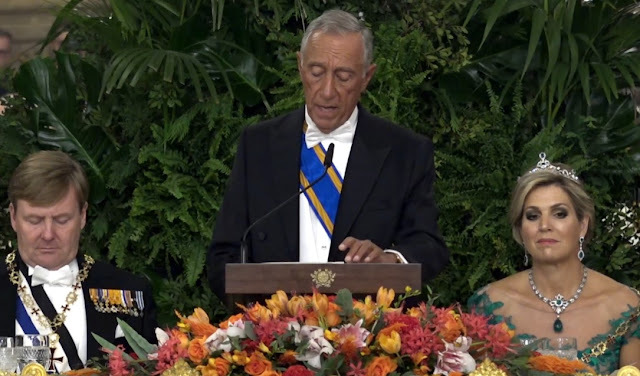 But while the story that went around the world on Sunday involved police aggression against some of those voting, there was no mention of the those injured in a speech the King of Spain said was for all his people. Some months are awash with royal birthdays and while October can't quite match the cake baking, card sending regal frenzy of September it doesn't do too badly on the celebrations front. Some royal houses seem to be particularly fond of October babies (not looking at anywhere in particular here, Belgium) but there's a good spread of royal birthdays going on this month. So get the cake ready and the cards written, here are eight royal birthdays for October. You don't get that many royal weddings in October. It's getting chilly for a start and this part of the year in modern times is often pencilled in for overseas tours and State Visits while the regal agenda firmly beds in after the summer break. But every now and again we get an early autumn royal bride - here's a trio that said 'I do' in October.